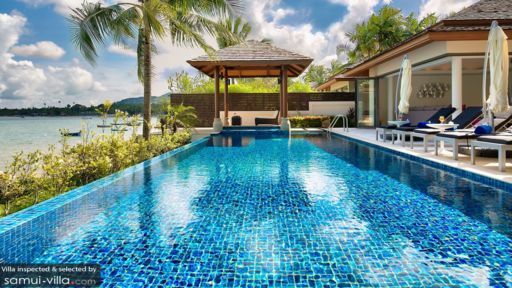 Our first time to Koh Samui - and we had booked the Baan Kohia villa after lots and lots of research. But the day before we got to Koh Samui, we got a call from the management company telling us we have been upgraded -- to this super amazing place that was right on the beach. this is at the end of Bophut beach - so it's very quiet because there are not that many people walking around. But the good thing is that it is pretty close to a whole bunch of other hotels and restaurants via a quick walk on the beach. the fisherman's village is less than 15-20 minute walk on the beach - though the beeach has coarse sand makign it a bit hard to walk. if you walk on the inside streets, its a little over a kilometer - so its an easy walk. we loved the villa - the people taking care of the place (Toey, Khaek, Nikki) were absolutely brilliant. we got the chef one day - it was amazing food and enough qty to last couple more meals. lots of restaurants out on the main street (about 5 minutes away) plus conveneince store to buy food and beer. 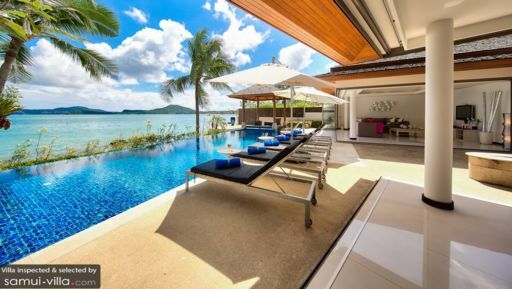 This Villa is located at the West end of Bophut beach. As it is at the end of the beach nobody goes there and it is like having your own private beach. We booked though LuxuryVillasAndHomes.com who not just an agent - they actually manage this villa and all the others on the street. They are awesome. Their staff in the vila really looked after our family too. We loved all the fresh food and they really made us feel relaxed and special. They arranged a lovely babysitter to help with our young daughter. The villas on the street at Dhevatara Residence are almost the same as each other but some seem to have been photographed better than others. This Villa is actually the biggest and we thought it was the best because 3 of the bedrooms are elevated and have fantastic views across the bay. The Villa also has a backup power generator so whenever the island had its frequent brown-outs we were unaffected. Usually this is not an issue - but during our stay it turned out to be fantastically useful and we hadn't realised until we met other people on the island who had been without power and therefore water for hours at a time and even many local restaurants and stores were out of power - they had had a miserable time! 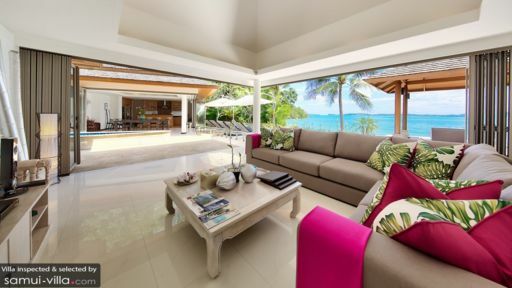 This really is a great villa to stay at - you are pretty much guaranteed to have a great vacation.